We all know that a Campus Town doesn’t always have the widest selection of activities, but Champaign-Urbana may surprise you with a few of its local gems! At Brainstorm Escapes, we offer immersive and exciting escape rooms, each with their own unique theme. You have one hour to save the world. Champaign-Urbana Adventures in Time and Space is a real-life “escape room” game for friends, family, and coworkers! Teams of 2-10 players have 60 minutes to find clues, complete puzzles, discover secret doors, and solve a greater mystery. Each game takes place in a different themed setting and time period. From dispelling evil spirits in a haunted cabin to foiling the plot of a supervillain, the scenarios are designed to make players feel like they are living out a movie or playing a game show! We currently have five adventures: THE LOST TEMPLE, THE CABIN, CALLING ALL HEROES, SWORD OF THE DRAGON, and ARTIFICIAL INTELLIGENCE. Each features a different set of challenges and players must use observation, communication, and critical thinking to win. Escape room adventures make for a great night out, a unique birthday or bachelor/bachelorette party, or an exciting twist on corporate team building. “At the LabEscape project we are committed to creating an innovative escape game unlike any other. First and foremost, we want to provide you a rewarding and thrilling experience that will leave you fondly reminiscing long after you’ve left. We also want to show you that science can be amazing, useful, beautiful, and yes, even fun! One of our frequent fliers in being mentioned, Curtis Orchard is a classic pillar of events in the Chambana community. 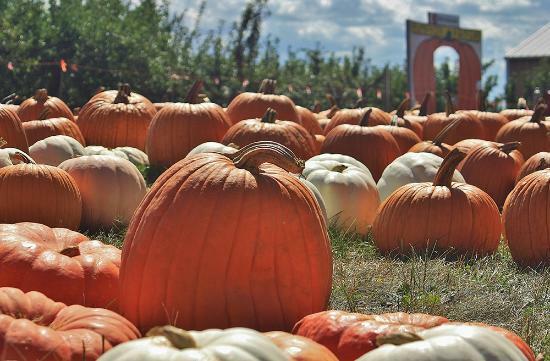 Enjoy apple and pumpkin picking, apple cider with doughnuts, a corn maze or hayride, there’s a great deal to do at our local favorite! Escape to the country at Curtis Orchard. This historic family-run farm in southwest Champaign features apples, pumpkins, outdoor activities and a large country store. Shop for speciality food items, take home our fresh apple cider, and try our famous donuts and pies. We’re also serving up great meals in our Flying Monkey Cafe throughout September and October. We have two local vintage art theaters in Chambana, The Virginia Theater and The Art Theater. Both of these have showings each week and have unique experiences! Aikman Wildlife is a fairly new addition to the area. A drive-thru safari with numerous of other amenities such as wagon rides, walk through petting zoo, behind the scenes tours, and much more! “The Aikman family would like to welcome you to explore the newest tourist attraction in central Illinois—Aikman Wildlife Adventure. 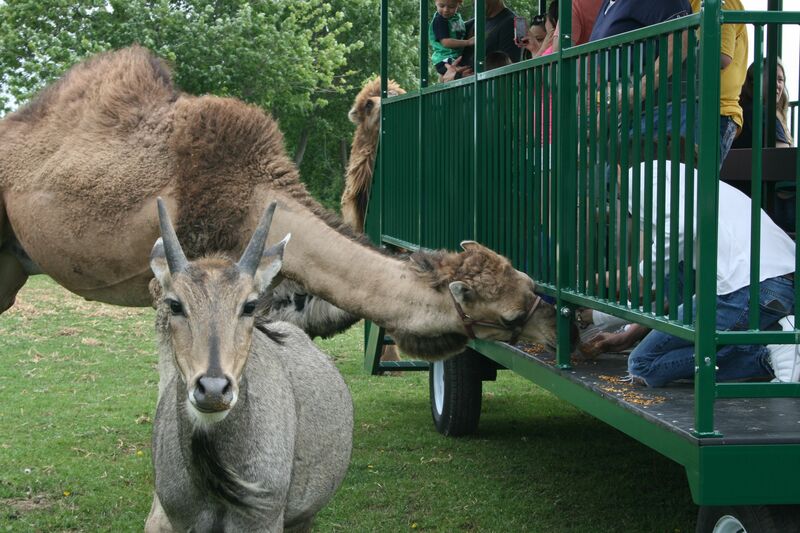 Located between Arthur and Arcola, less than 6 miles west from Interstate 57 exit 203, this is a wildlife drive-through park where you can get up close and personal with animals you’ve only seen behind fencing at a zoo or on television. You’ll have the opportunity to see and take pictures of animals right out of your vehicle while you drive the 1-mile long path through our Drive-thru. Once you have driven through the Drive-thru, you can experience our Walk-thru Adventure, where you’ll see kangaroos, cavies, wallabies, lemurs and much more including our large Petting Zoo area. On October 22, 2013 James had a dream of him and his wife, Kelsey, owning and operating a wildlife park. He told her about it and she said their son was going to be born in 2 weeks and they had plenty on their plate. He agreed completely, but the next night he had the exact same dream. He told her he didn’t know why, but felt like this was something God was wanting them to do. She said that if it was really from God then he would find a way to make it happen. From that point on, thoughts, ideas, plans, layouts and numbers flooded his mind—so much so that some nights he could hardly sleep—he just felt I had to get everything out of his head and on to the computer. He began talking with other drive-through parks and zoos for budgets and costs as well as visiting with veterinarians, carpenters and other suppliers to get accurate quotes. He also began looking at the possible annual attendance and income numbers.